The other day, a friend of mine asked why I insist so much on talking about inner child, self-worth, and self-confidence when I’m a skincare manufacturer. I think it’s time that I share my deeper message. Let me explain. The primary reason why I got into skincare was because I couldn’t find the right product. I was dealing with oily, sensitive skin, and the products on the market only irritated my skin further. So I thought, “Why don’t I just make what I want?” I’m a chemist. I could do it. I had access to ingredients. It would allow me to freely manufacture what I wanted for myself. Well, manufacturing is one thing and promoting it is another. And that’s where I got stuck. That’s what forced me to look inwards. You see, my oily skin was a reflection of what I saw in the mirror. I didn’t like what I saw, and I sought to fix it. What I didn’t take into consideration was what was going on inside me. That was where the real work was needed. However, I never thought of looking at myself from that perspective. As with anything in life, if you keep repeating it over and over, regardless if it’s true or not, there will come a time when you’ll start believing your own story. Whether it’s based on fact or not is irrelevant. If you say it long enough, you’ll start believing it’s true. And there was a lot of that going on in my life. Over time, it affected my self-worth and self-confidence. To explain what took place, let me turn to the book Outwitting the Devil by Napoleon Hill. The book was written in 1938 after the Great Depression. According to the story, he somehow had a discussion with the Devil. At that time, leaders had very strong opinions about God versus evil. The word “devil” may have had a stronger connotation then. Just look at how the word “devil” was used at that time. In the book, the Devil explains that his part in life is the negative energy that lives in the minds of people who fear him. He occupies one half of every atom of physical matter, in every unit of mental and physical energy. He’s basically the negative portion of an atom. On the opposite side, there is God. God controls the positive factors and all the natural laws throughout the universe. He is the positive side of the atom. God is the positive forces of the world, which includes love, faith, hope, and optimism. The Devil explains that his job is to lure as many people as possible over to the negative side by occupying the unused space of the human brain. The Devil uses fear and other sorts of bribes or motives to subdue you to a point where you no longer think for yourself. And when you are in that zone, you will be taken over by the law of compensation — meaning you will “reap what you sow.” That’s why it’s important to understand that everything you do and everything around you is energy. How you do what you do dictates where you fit between being a drifter or a non-drifter. There is no in-between. You are either one or the other. The more you let fear control you, the more you let go of your awareness. People can start manipulating you into doing things for them. The people who are influencing you are not necessarily non-drifters. Like attracts like. You may hang out with people who, let’s say, don’t have healthy, supportive habits – for example, someone who drinks a little too much. When you hang out long enough with that person, you’ll probably start drinking, too. If you let that person think for you, you’re going to eventually start drinking a bit more each day or each week. Over time, it becomes a habit, which can get out of control, unless you step up and say, “This is not for me.” At that point, you start taking charge of your own thoughts. That’s when you shift from a drifter to a non-drifter. WHEN YOU LIVE IN FEAR, YOU FORGO AWARENESS. Now, what does all of this have to do with self-confidence? It has everything to do with self-confidence. When you start abdicating your power to others, there’s a part of you that starts feeling that you aren’t good. And if you aren’t looking inward as to why you don’t feel good, you’ll start looking outwards for something that will make you feel better. First, you’ll look into things to make you happy, like buying a new “toy.” But that only works for a short while. (Now, I’m not saying that buying a toy is bad. It depends on the reason why you’re buying it.) Over time, the toys might get bigger and bigger to a point where you spend more money than you earn. (Again, nothing wrong with buying any “big toys.” It’s the reason behind it that matters.) Let’s say you start accumulating debts. Now you worry about how you’re going to pay your bills. At that point, worrying takes over your mind, attracting additional unsupportive thoughts. When you live in fear, you forgo your awareness. You become like a puppet controlled by your unconscious. And you’re subject to inflict onto others the same unsupportive habits. Because you attract negativity, you will receive negativity. You start losing your self-confidence when you let others decide for you. Have you ever asked a friend, “Should I wear this or that?” “Should I text him or not?” “Do you think I should go to that event or not?” Unconsciously, you will select the person who will give you the answer you’re looking for. If you don’t really want to go to an event that could be life changing but will require some travel, you will ask a friend who is, let’s say, afraid of flying. You might ask, “Should I go to that event even though I’ll have to travel far?” And you know that person is going to say, “Oh, no, flying is dangerous.” That person will help you back out of your plans. Over time, not achieving anything can make you feel worse. You get to a point where you need others to make you feel better. You’ll want to hear from others that you’re beautiful, or you’re handsome, or you’re smart, or you dress well. According to Napoleon Hill’s book, Outwitting the Devil, a drifter is someone who lets others decide for him. When you’re a drifter, you lack a major purpose in life. You have little to no imagination. You have opinions on everything but accurate knowledge of almost nothing. You let fear control your life. FEAR IS NOTHING MORE THAN A STATE OF MIND. Fear is nothing more than a state of mind. Fear is being afraid of something that is not happening at the current time. It’s just a story you tell yourself, which you choose to believe. One of the biggest fears is fear of criticism. We don’t want to be judged. Why? Because we are loving beings! We want to be loved; we want to be accepted. If we are judged for a mistake we made, we don’t feel good inside. If we were not good, we don’t deserve to be loved. It goes in a circle. It was instilled in us at a young age. This judgment pattern is reinforced at school. When you’re in school, if you get good grades, that means you’re good, smart, and have studied well. But if you make a mistake, you feel like a failure. Over time, you fear being criticized because it hurts inside. It makes you feel unworthy. Some people are afraid of doing things because they think, “Oh my God, what if I do this and I get laughed at?” Or, “What if he doesn’t like me?” We suppress our ability to shine in this world because of a fear that only exists in our minds. To continue with Napoleon Hill’s book, a non-drifter, on the other hand, is someone who has a mind of his own and uses it for all purposes. He’s always engaged in doing something definite, through well-organized plans. They may not necessarily be the right plans, but he has a plan, and he goes with it steadily. A sound plan will probably yield better results more quickly. But any plan is still better than no plan. And what it takes above all is DETERMINATION. When you’re so engaged in your burning desire that you’re willing to do whatever it takes at all costs to make it happen, and you’re willing to say no to the things that are not supporting your mission, and you’re willing to accept any challenges that come along the way, you’re going to see any adversity as a blessing in disguise. And you’ll take responsibility for your actions. You won’t waste your time on blaming others for your lack of results. You’ll actually do something about it. I’m bringing all of this up because this was exactly my predicament. I was a non-drifter, and my husband was a drifter. He started drifting many years ago. It started gradually, not having a purpose in life, taking things easy. He didn’t have a purpose. Over time, he let me decide everything. This was a form of protection. He said to himself, “If Nadia decides and it’s wrong, it will not be my fault.” He chose to abdicate his power. The result of that was that by the end of 2015, I was doing about 90% of the work with the skincare business. And it makes sense that I was the one doing most of the work, since I was the one who really needed the cream. I was working on my skin condition. It gave me a definiteness of purpose. One day, I suggested that he take a skincare class to refresh his chemistry knowledge. I was hoping he would take over the formulation while I spent more time in sales and marketing. I wanted him to stop seeing everything as “wrong” and join me, learning to work together instead of fighting. However, I became totally immersed in learning about skincare ingredients and formulation. 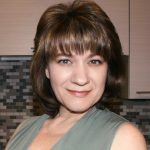 I took several skincare classes and spoke to many ingredient manufacturers. I was mixing until midnight. In the process, I discovered that there were better ingredients for oily skin and better methods for mixing. I was also mindful of the cream texture and was attuned to how women want a cream to feel. For some reason, all these things came naturally to me. So when I started rejecting my husband’s ideas, instead of being curious or asking me to teach him, he took it personally. Gradually, he stopped being involved because he was afraid of being wrong. Nevertheless, to please me, he went to the skincare class. That got him turned around. He loved it. He realized he could adjust his polymer chemistry to skincare. The teacher suggested that he take a graduate degree in skincare. Well, my idea of getting him to join me backfired. I say this because, in the past, I had hired a girl to help me in the lab. She just finished her bachelor’s degree in chemistry, and she couldn’t formulate. She just knew the abstract side of chemistry, not the practical. However, to be positive, I told him to follow his dreams. My intuition was right. I needed marketing. I needed to know how we could better promote the brand. He was learning about “steady-state permeability coefficient of non-ionized compounds in an aqueous solution.” I don’t understand this either! What I never anticipated was how school pushed him further into drifting. He was always aiming for an A+. And if he didn’t get an A+, oh my God, I heard about it. He was using the establishment to bring him self-worth. And when he got a B instead of an A (or worse, a B-) he felt that he was a failure. For weeks, he would say, “I got two questions wrong.” I couldn’t tell him anything that would make him come around. I said, “Why does it matter? It’s not like you’re competing with 200 other students for one position at L’Oréal. Why are you so stressed out about the grade?” But for him, at this point, he was just looking for the establishment to make him feel better. When your self-worth is reduced to pulp because you don’t believe in yourself, especially when that false belief comes from an establishment that you have no control over, you become unhappy. You create drama everywhere. When you start drifting, it gets worse. You don’t feel good. You blame and criticize others. And the more you focus on what is wrong, the more you see other people’s faults. It creates a funnel; I call it a vortex. You get sucked into the vortex. It brings you further down. He felt even more rejected when I told him I preferred going to events where I could mix with professional coaches and trainers and learn about my “self,” rather than listening to his negative opinions. When I started meeting other non-drifters, they taught me things I didn’t see and gave me a new sense of awareness. It caused him to feel all sorts of fear. At one point, he feared I would leave him, causing more arguments. Over time, I became stronger; I stood my ground. He didn’t like that. He felt he had no control over me and he didn’t like what people were teaching me. So, he tried to stifle my growth. However, I was the one who had a definiteness of purpose. I was the one who needed the cream. I was the one who put a lot of time and effort and money into the skincare company. I was becoming even more driven. I didn’t want to upset him. What I wanted was to be in revenue so that I could help him financially. However, his negativity wore me out. I’ve heard that excuse from others, too. To me, it’s irrelevant what 95% of people chose to do or not to do. If a coach says something that aligns with my values and I want to see new results, I’ll go out of my way to make it happen. I don’t focus on excuses. I do the work! How I do one thing is how I do everything, with passion and dedication. It’s had a huge impact on my growth because it’s no longer about what others don’t do. It’s about what I chose to do for myself. Saying it is powerful. Living it is extremely powerful. All that said, I learned something vital. I cannot change someone else. I could not get my husband to see my point of view, and I couldn’t get him out of his vortex of negativity. He put himself there, and he was so sucked into it that I could not help him. As the saying goes, you can take a horse to the lake, but you can’t make him drink. Well, I couldn’t even drag him to the lake. In the end, I was dragging the lake to him, and he was still not drinking. Have you ever tried to move a lake around? I mean, that requires a lot of energy. And while I was spending all that energy on him, I got out of focus with my work. I was like a dog chasing its tail. It became so challenging to focus; I moved my office into a bedroom, a place where I could close the door. I had to lock my computer every time I left the room. I could no longer use my wall calendar because everything I wrote was used against me. These were all distractions to get my attention. Very deep down, there was a sabotage pattern. At this point, I told him I wanted to divorce, and he was doing everything so that I did not get in revenue. In his mind, he knew that as long as the business didn’t generate enough money to take a salary out, I would not be able to leave him. He feared what his life would be like if he lost his “little babe,” the one that did everything, from cooking to cutting trees, to saving as much money as possible. It takes strength, patience, persistence, and understanding to say, “No, I’m not going where you are,” with as much love as possible. Now, I still wasn’t out of the woods yet; he was the majority owner of the company. I had to negotiate a way to become a hundred percent owner of the company, which I eventually did. It took nine months. I traded a significant portion of the house in exchange. Bear in mind that I had many options here. I could have chosen to close the company, since it wasn’t generating any money. Then we would have sold the house and split the profit 50/50. I could have let him keep the company, and have him buy my share, plus the 50% of the house profit. What I chose instead was to lead with my heart. Regardless of our differences, I will always want the best for him. And in doing it the way we settled, it allowed him and our son to stay in the house with minimal financial setbacks. You may ask why I would go to such length and buy a business with no cash flow. It’s because I believe in it. I already see it being successful. One coach explained to me that if I drive from California to New York, I may not be able to see New York City from where I am right now; however, I know in my mind that when I arrive in New York, the city will be there. There is huge power behind this unwavering faith and belief. I knew my husband’s negativity came from a scarcity mentality. He feared poverty. As in, “What if there is not enough for tomorrow?” This comes from his upbringing. Born after the Second World War, he was raised in England, and for the first six years of his life, he lived with a ration book. No one could buy more than a certain amount of food per week. Everything was rationed. Scarcity was everywhere. As he got older, these old false beliefs were so deeply rooted in that he believed them to be true. So instead of thinking, “What can we do to afford something?”, he would default to thinking, “We cannot afford this.” He chose to be a victim of his own story. That was 2016; I wasn’t in revenue. I’m still not in revenue to this day. Being at zero income in a society where we value ourselves amongst one another by the amount of money we earn is challenging. So where did that put my heart? Where did that put my self-confidence? When that coach said the only way I could be in revenue was to let go of husband, I thought, “Oh my God, how can I do this? I don’t even earn an income.” And that was a big question that I had to answer. I became even more driven. Inside, I was hoping he had it wrong, and I could be in revenue in no time. I knew it’s not so much about the numbers, or the lack of numbers. It’s how you feel about it that makes the difference. Well, at that time, I didn’t feel great. But one thing was for sure. I was avoiding at all costs to be sucked into that vortex of negativity. I built walls around my mind so that I could still function. I ended up taking my calls in the garage. It’s very challenging to carry on a business when you’re afraid of the next thing that you need to protect yourself from. I was dancing between wanting to keep peace of mind and also fighting the silliness of it all. But that message didn’t register. For as much as I was resisting it, I had to face my greatest challenge of all. I had to move, regardless of how impossible it looked. On May 1st, I looked at my calendar and said, “Fine. I’m moving on July 7th, 2017.” And I put a big X on the calendar. I didn’t know where I was going to go. I didn’t know how I was going to pay for it. And I didn’t know how I was going to qualify. I just knew I had to go. I wasn’t terrified. I was determined. Instead of going into fear mode, I went into loving mode. Inside my heart, the true reason why I was leaving wasn’t a selfish one. It was because I could see that gradually, the more I stayed with him, the more he was going down. He could no longer function. He could no longer go to work with peace of mind. Between May and June, he was consumed entirely by “the move.” I felt he was watching me, waiting to see when I would fail. July 7th, 2017 came, and I moved! It was bold. It was courageous. Everybody around me was telling me how crazy I was. And I didn’t care. I chose to live my life on my own terms. This situation with my husband taught me a very important lesson. I had to accept him for who he chose to be, without wanting to change him. I learned that I could only change myself and the environment. I had to find enough strength and courage to let go of the idea that he had to be the only provider. I had to learn to provide for myself. If you’re a guy and you’re reading this, let me just say this to you: if you truly love your wife or girlfriend, your job is to elevate her. Not to control her. To love her and to support her emotionally and to help her grow. Not to bring her down or stifle her talent. As long as you keep elevating her, you don’t have to worry about anything. She will be there for you always. I have realized, as a woman, that my role is to guide a man to be the better version of himself by showing pride and respect. To support him in his mission. And to help him in his greatness. That is only IF he desires to be guided! What if a man and woman could learn to live in harmony with one another and learn to elevate each other? 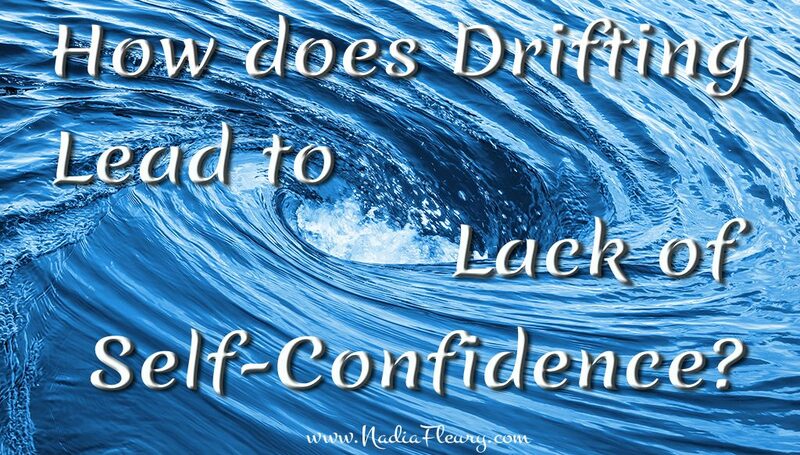 So, now we have talked about the difference between a drifter and a non-drifter, and how you lose your confidence by abdicating your power. That’s why I’m sharing this here. It’s to inspire you to regain your confidence. To wake you up. To go after your dream. You know what? There’s one thing you can never get back. It’s your time. Time is of the essence. One thing I realized is that I could not save my marriage because my husband decided to drift. I’m hoping that this message resonates with you and encourages you to start looking inwards, and that you take charge of your own life. I hope you decide to do something that is aligned with your true values – not what other people expect of you, but what you want for your own life. Be brave! It will take courage to do it. Everybody around you will tell you that you are crazy. But it doesn’t matter. It’s your dream. You are the only one who can tell for sure, a hundred percent, what is right for you. Loving yourself back to life is the only way that you can have the courage to embrace your life and live it to its fullest. My husband has chosen to let go of his ambition. And he let fear set in permanently. I didn’t. I stayed focused on my burning desire. How about you? What do you wish for your life? There’s one thing for sure. Regardless of what I’m saying here, I know I cannot save you. There’s only one person who can save you. It’s yourself. All I can do is share my story, hoping that it will help you realize that you always have a choice. It starts with your own burning desire. Something that you want. Something that you are willing to fight for. Something that you are willing to do, regardless of how long it takes. Are you bold enough to be happy? I sometimes hear people say, “I want to help others.” How about helping yourself first? You cannot be a blessing to others until you are a blessing to yourself. I hear people say that they would go to the moon and back for others. Would you go to the moon and back for yourself? You deserve it. You matter. Would you do that for yourself? If you are stuck and unhappy, just know one thing: the answer is within your reach. And I will address that topic in the next podcast. So, stay tuned for more. And thank you for reading. If you’ve enjoyed this article, please share it. If you have any questions or comments, you can always reach me at this email address: ask@nadiafleury.com. References: Hill, Napoleon. “Outwitting The Devil: Uncommented Original Manuscript” (Kindle Locations 1042-1063). Vintreads. Kindle Edition.